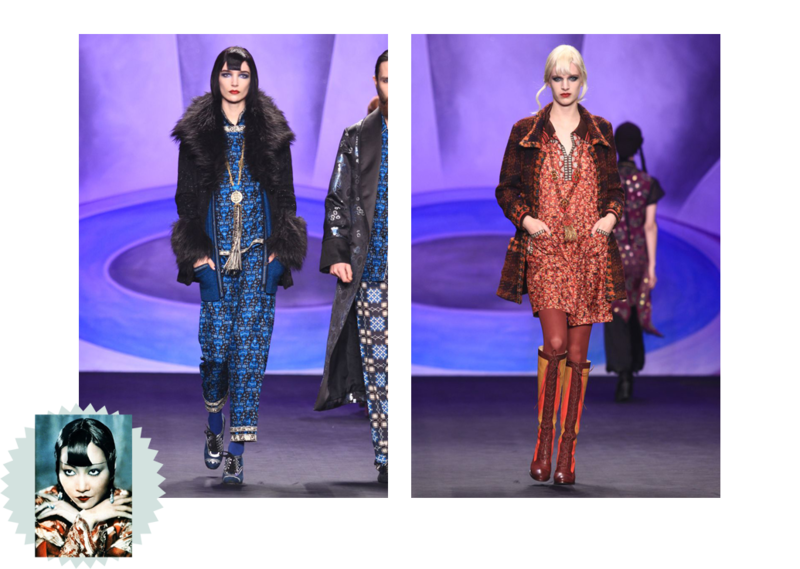 The other night, I was happy to get home in time to tune into the live broadcast of the Anna Sui FW14 show online. This season's inspiration: Anna May Wong, the first Chinese-American movie star. I compiled a few of my favorite looks from the show (which was difficult to do as I loved them all! ), pairing them with some images from Anna Sui's inspiration board for the collection that I thought reflected the origins of the designs. I felt so inspired by the accessibility of this collection, which vaunted an unmistakable chinoiserie aesthetic and 1920s and 1970s influence, but out of all of these, my absolute favorite is the first pair: I love blush tones, silk, and delicate chinoiserie patterns.